Ukraine’s Foreign Minister Pavlo Klimkin has said in a statement published on Facebook Friday he is disappointed with the declaration adopted by PACE on the need to lift the sanctions and resume dialogue with the Russian Federation. "I am extremely surprised and disappointed with today’s Declaration of the Bureau of the Parliamentary Assembly of the Council of Europe. Declaring commitment to democracy and dialogue, today this governing body of the Assembly put them to question today with this decision," he said. Klimkin noted that PACE had introduced sanctions against the Russian delegation in response to the aggression of the Russian Federation in Donbas and the occupation of Crimea. Read alsoSavchenko tells PACE when Russia to get weary of waging war with Ukraine "A clear list of requirements to Russia was put forward and conditions were defined when the decision sanctions may be reviewed. Has Russia met these requirements? No. Has Russia recognized its mistakes? Again, no," said the minister. Klimkin added that Russia "continues to showingly ignore the calls of the international community to stop the aggression against Ukraine." The foreign minister said that the appeal of the PACE Bureau to lift the sanctions and resume dialogue with the Russian Federation "undermines credibility of the whole Assembly." 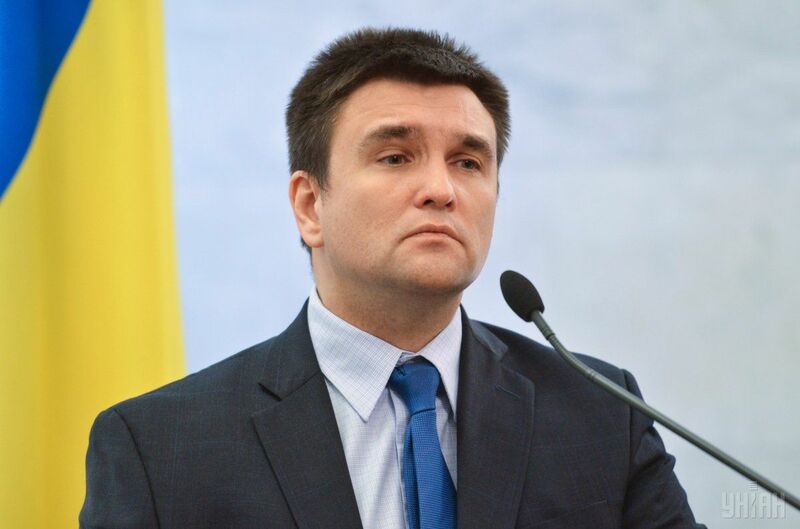 "Further concessions to the aggressor and occupier will be the worst signal to the international community and mean that Russia, like any other state, can now freely violate the fundamental principles of the Council of Europe with impunity," said Klimkin. According to him, "the organization, which stands for the protection of human rights, democracy and the rule of law, cannot afford crossing this line."